Without the recipient’s prior, express written consent to make such calls. These calls are frequently (and unlawfully) placed in violation of the TCPA where a debt collector is calling either the wrong party (e.g., debtor turned in his or her cell phone number and the number was reactivated by the non-debtor) or is knowingly calling the debtor’s credit application reference or family member on an account, found as a result of skip-tracing. In a recent case filed by Leavengood, Dauval & Boyle, P.A. in the Middle District of Florida, Tampa Division, allegations were made that Capital One repeatedly auto-dialed the cellular telephone of a non-debtor who lived in Georgia in attempts to collect someone else’s debt. In addition to successfully making the allegation that these repeated debt collection calls were sufficient to state a claim for unlawful debt collection under the Florida Consumer Collection Practices Act, Leavengood, Dauval & Boyle, P.A. is seeking a minimum $500 per call for each of the at least 120+ calls robo-dialed to its client’s cellular telephone. Why is this figure the “minimum” sought? In some instances, violators could incur up to $1,500 per call. The attorneys at Leavengood, Dauval & Boyle, P.A. know how to assist individuals who are victims of these robo-dialed calls. When a consumer contacts and retains Leavengood, Dauval & Boyle, P.A. about these harassing, robo-dialed calls, its staff sends the caller a written cease and desist letter, advising that the caller either that they have the wrong person or that they no longer have consent to call the recipient using an automatic dialer. Once callers are on notice that their conduct – auto-dialing a caller’s cellular telephone without consent – was never or is no longer allowed, each call may be worth up to $1,500 if the court, in its sole discretion, finds that the calls were knowingly made in violation of the TCPA. Obviously, if there are many calls made to your cellular telephone – and many come after the attorneys at Leavengood, Dauval & Boyle, P.A. have written the callers, telling them to stop – these cases can be worth a good bit of money to the consumer. Because debt collection is big business, it is not surprising that the primary alleged offenders of the TCPA are creditors or debt collectors attempting to collect consumer debts. These creditors and debt collectors invest hundreds of thousands—if not millions—of dollars in automatic and predictive dialing technologies that enable Capital One and other creditors to repeatedly call as many debtors and alleged debtors as possible. How can you tell if you are being “robo-dialed?” Typically, you will receive a voicemail message containing a pre-recorded voice. The message will be “robotic” and likely the same as messages you have previously received. You can also tell a pre-recorded message from how rehearsed the message sounds, with no errors, voice inflection, pauses, etc. If you actually pick up the auto-dialed call, listen for a pause. If you say “Hello” and no one immediately answers, chances are that it is a robo-call from the “cloud,” and an operator (i.e., debt collector) was waiting for a consumer to answer the auto-dialed call before the call was transferred to a live person to then talk to the consumer about the outstanding debt. In short, pauses on incoming calls before you talk to someone on the other end (who just coincidentally ends up being a debt collector or solicitor) are a tell-tale sign that the call is an automatically dialed, or robo-dialed, call. So what do you do if you think you have a case? Gather information about each call you are receiving (time, date, phone number, save voicemails, etc.) Please use this Communication Log to assist you. Send a written Cease-and-Desist Letter to the caller. Be sure to include the cellular telephone number that he/she is calling and tell him/her that he/she is no longer permitted to auto-dial your cellular telephone number. Contact Leavengood, Dauval & Boyle, P.A. about your case. Leavengood, Dauval & Boyle, P.A. will be happy to assist you in both assessing and readying your case and will do so on a contingency basis. Additionally, if we believe that you have a strong case, we will actually advance costs that are required to bring about and litigate such a case. Please contact us if you feel you have a case for unlawful robo-dialed calls to your cellular telephone. 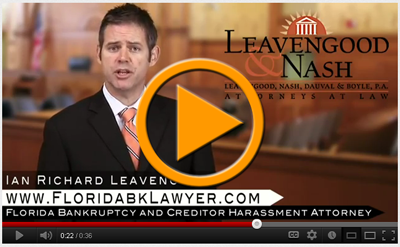 (727) 327-3328. www.LeavenLaw.com.